You are having a great time at a Bar/Bat Mitzvah, Sweet 16 or party but can’t really enjoy the entertainment, because you don’t know where to put your stuff. Cubbies are an excellent party storage solution!! Having cubbies at your next Bar/ Bat Mitzvah, Sweet 16 or party will allow you and your guests to enjoy your time without worrying about where to leave your stuff. Cubbies will store your guest’s shoes, socks, fun frames, virtual frames, graffiti wall pictures, photo booth pictures, party favors, and gift bags. The cubbies can be personalized with your guest’s name so each person has a cubby of their own. We ensure that your event will be the most memorable experience that you’ve ever had. Shape , style or color! 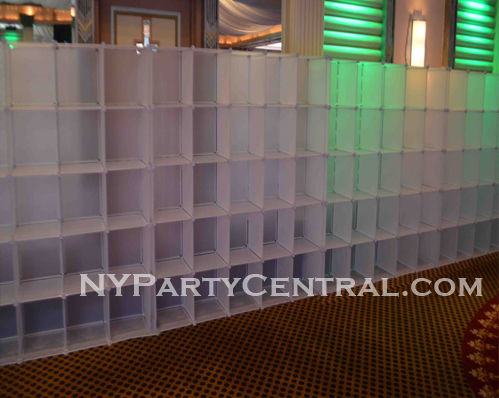 Devon Spears Events recommends renting cubbies for your next Bar/Bat Mitzvah, or Sweet 16 in the Tri STATE area. Combining quality entertainment, cubbies, extravagant DJ set-ups, and unparalleled personalized service, Devon Spears Events offers a one-of-a- kind Long Island, New York , New Jersey ,Connecticut and Pennsylvania party experience. Take a look around to find out what makes our parties so great as well as helping you make the first steps in planning out your party the greatest event your family and friends ever attended. We understand the significance of this day and the proud moment that this is for his/her family and friends. For the last 16 years, we have done, and specialized in parties in Li, NY, NYC, NJ, Conn, and PA and has been honored to be invited back by families when their younger children come of age. This may be the first event of its kind you have planned. You can benefit from having an experienced DJ to help you in advance and avoid common pitfalls. 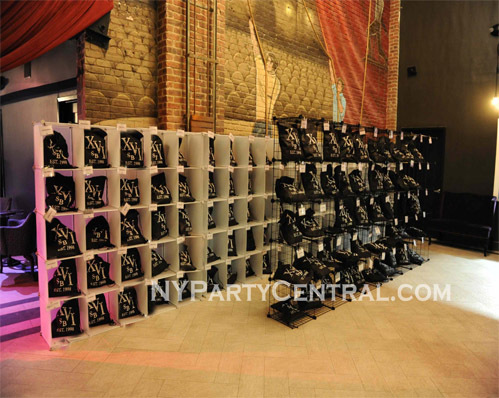 With Party Disc Jockeys, you will have personal service from a coordinator and our event planning tools…. Control Your Music… We maintain a music play list! We include the most current and most popular songs that you and your family and friends expect. It is extremely important to have an understanding of what music is available to you and how it is chosen. This is your family’s party and you are the expert on what music you and your guests will enjoy. We play the best and most current songs from our library, which you can compile your play list on-line for your event. You plan your party on our web site. If you all want to party like we do than you all got to party like us.